It might seem that the students at Marjory Stoneman Douglas High School, who have taken the lead in organizing nationwide school walkouts in support of gun control, have materialized from nowhere. 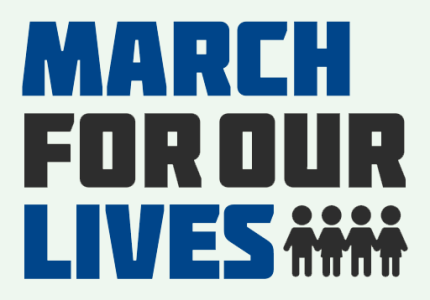 How could teens galvanize at least three nationwide movements, including the upcoming March for Our Lives on March 24? After all, this was the generation that was said to be coddled by over-protective parents. Children who would fear independence and risk-taking. Students who would grow into apathetic citizens because they were ignorant of American history and civics. In fact, however, their fervor and activism, goaded by the brutal murders of seventeen of their classmates, teachers, and staff, are part of a long tradition of school-aged youths taking charge to change the world. Some journalists have recognized the link between the students in Florida and those who protested segregation and racial violence across the South fifty-five years ago. 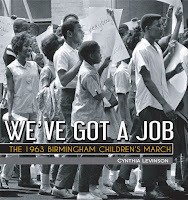 Several have cited my book We’ve Got a Job: The 1963 Birmingham Children’s March (Peachtree Publishers). One, in Esquire, referred to Audrey Faye Hendricks, a nine-year-old dissident whom I wrote about in the book: “But, before she could be free, there was something important she had to do. 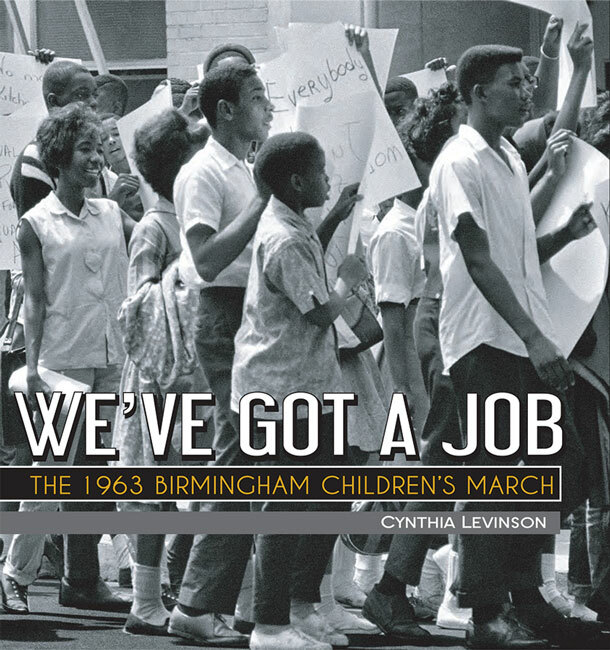 ‘I want to go to jail,’ Audrey had told her mother.” Audrey was the littlest marcher in Birmingham—and was the focus of another book I wrote called The Youngest Marcher (Simon & Schuster). But she was not the first child to volunteer to enforce integration peacefully. Beginning in the 1950s, the civil rights movement inspired youngsters to put their bodies on the line. And they, in turn, inspired others to follow their lead. In 1954, after the Supreme Court handed down Brown v. Board of Education, the first in a series of cases that outlawed school segregation, Reverend Fred Shuttlesworth, an activist black minister in Birmingham, drove his children to the local public school expecting that they would be admitted. A mob made sure they didn’t even get out of the car without injury, let alone into the building. Then in 1956, knowing their father’s commitment to integration, the children refused to move to the back of an interstate bus when the driver ordered them to do so. They were kicked off and left by the highway in the dark. That same year, twelve black students became the first to desegregate a state-supported school in the South by entering the formerly all-white Clinton High School in Clinton, Tennessee. To protect themselves from attacks by white people who were bent on keeping the school segregated, the teens met up every morning and walked together. Brave and brazen as these children were, their actions remained largely isolated. In 1960, however, youths dramatically propelled the civil rights movement forward. On February 1, four black students at North Carolina Agricultural and Technical College sat down at a segregated lunch counter at a Woolworth’s in Greensboro and ordered coffee and doughnuts. Though ignored at first and then doused with coffee and ketchup, they refused to leave. Within days, hundreds of their fellow students joined their efforts at other sites around the South. By the end of March, sit-ins had spread to fifty-five cities in thirteen states. But college students are practically grown-ups, which is different from school kids, like those from Parkland. The Woolworth’s sit-ins might have sputtered and failed when the A&T students went back home for summer vacation, but at that point, local high schoolers stepped up and took their seats at the counter. They endured the same painful indignities as had their elders. Thanks to them, Woolworth’s finally opened the counter to both blacks and whites in July of that year. As a result of their determination, not only did Birmingham rescind its ordinances two months later but also nearly fifteen thousand demonstrators, most of them teenagers, participated in more than 750 protests in 186 cities. Adults helped with logistics but children were at the front. Though not leaders, young people also participated in marches from Selma to Montgomery, Alabama, as described by Lynda Blackmon Lowery in her memoir, Turning 15 on the Road to Freedom: My Story of the 1965 Selma Voting Rights March (co-written by Elspeth Leacock and Susan Buckley, Dial Books) as well as in Marching For Freedom: Walk Together Children and Don’t You Grow Weary by Elizabeth Partridge (Penguin Random House). Though the particular protest is not named, little children are also seen marching in the book A Sweet Smell of Roses by Angela Johnson (Simon & Schuster). The Vietnam War, too, galvanized young people. In 1965, the four Tinker children, ages eight to fifteen, decided to wear black armbands to school to show their opposition. Ordered by their principals to remove them, the kids refused, and the older children were suspended. They carried their case to the Supreme Court, which ruled in Tinker v. Des Moines Independent Community School District in 1968 that this form of protest is symbolic speech allowed by the First Amendment to the US Constitution. Over the next several years, young people in both high schools and colleges continued vociferously to oppose the war by marching, refusing to be drafted into the military, fleeing the country, and demanding that President Lyndon B. Johnson, who had escalated the fighting, leave the White House. He did so at the end of his elected term in office. Elizabeth Partridge has written about these events in Boots on the Ground: America’s War in Vietnam (Penguin Random House). More recently, teens have organized and carried out a variety of strategies on multiple fronts. In 2012, undocumented people who came to America as children either illegally or with papers that later expired, held sit-ins in legislators’ offices to urge President Obama to stop deportation of these DREAMers. Doing so, they risked arrest and the very consequence that they feared—removal to a “home” country they barely knew. Their efforts helped pressure the administration to grant them a reprieve. Following the murder of eighteen-year-old Michael Brown, who was unarmed, by a policeman in Ferguson, Missouri in 2014, anguished students led protests that helped jump-start the #BlackLivesMatter movement. Two years later, several Lakota Sioux teens founded the One Mind Youth Movement to counter the Dakota XL Pipeline in Standing Rock, North Dakota. children should get involved. Perhaps Audrey could show them that even third-graders can do their part. The March for Our Lives on March 24 might spur even more to participate, as might the National School Walkout planned for April 20. Furthermore, it won’t be long before these teens are old enough to vote. Cynthia Levinson holds degrees from Wellesley College and Harvard University and also attended the Lyndon B. Johnson School of Public Affairs. A former teacher and educational policy consultant and researcher, she is an award-winning and critically-acclaimed author. 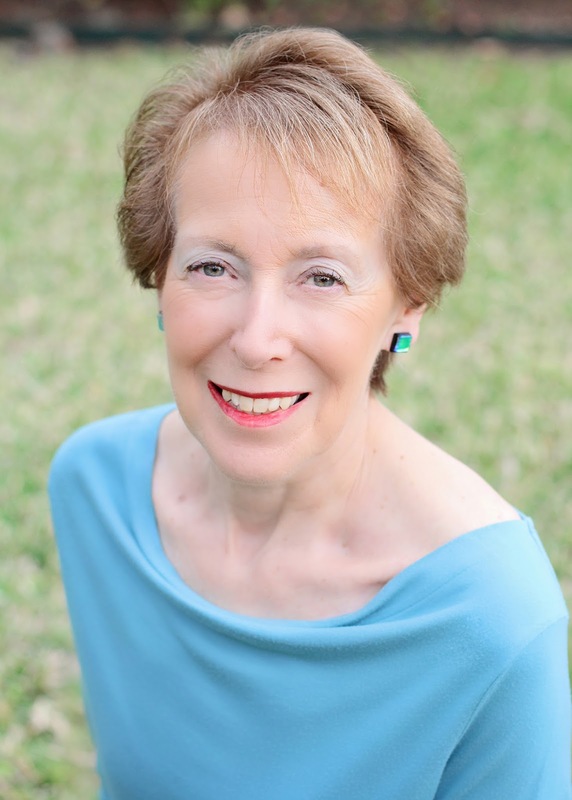 She has also published articles in Appleseeds, Calliope, Cobblestone, Dig, Faces, and Odyssey. Visit her website at cynthialevinson.com.